No, I’m not calling anyone a bad name. 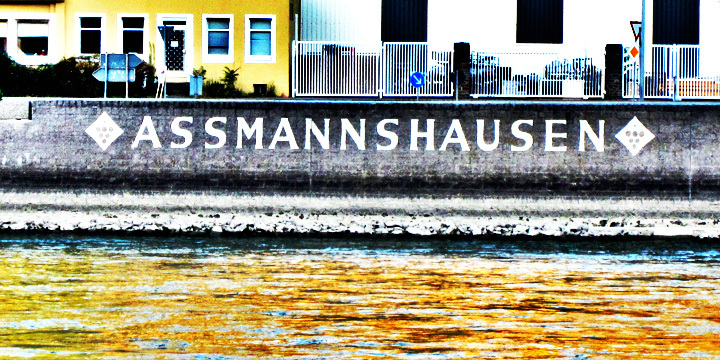 This is the name of a town on the Rhine River. According to my German dictionary, those first three letters mean Ace. Kind of gives a new meaning to phrases like “Ace in the hole,” “Having an Ace up one’s sleeve” or “Holding all the Aces,” doesn’t it? Would you be offended it I said “Gute fahrt!” to you? Don’t be! It means “Have a good trip!” Fahrt refers to a ride, journey, or trip. Gasse is the word for alley. 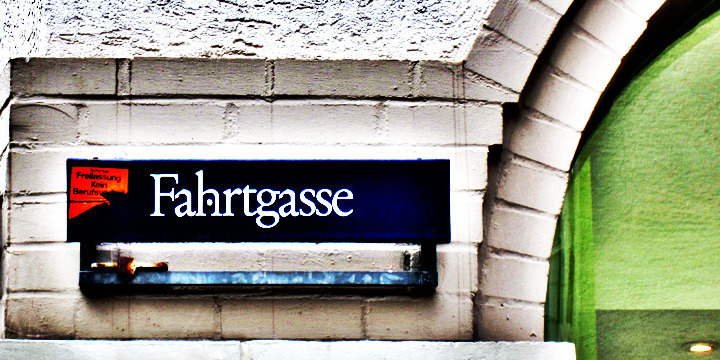 The above picture is of a street sign in Heidelberg, Germany. 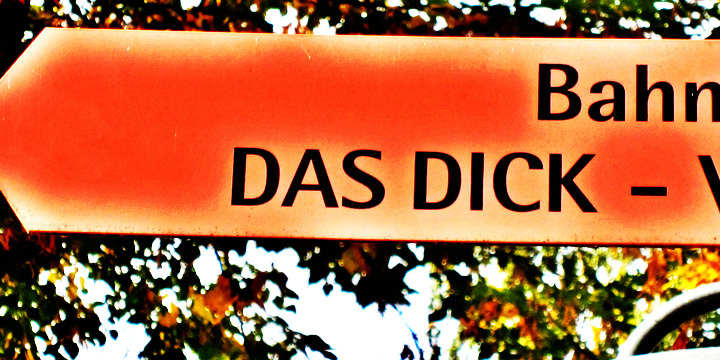 Sorry to disappoint you … this is not a place to go after you’ve eaten too many German sausages.